Jessying - Malaysia Beauty Blog - Skin Care reviews, Make Up reviews and latest beauty news in town! 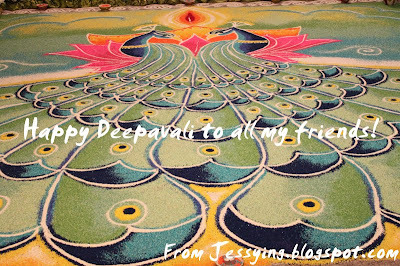 : Happy Deepavali ! Happy Deepavali to all my friends! Drive Safe and eat more muruku !